Are you getting tired of filling up that water reservoir on your coffee maker every time you use it? 🙂 Don’t fret there are solutions to this “1st-world” problem. There are a good handful of coffee makers out there that have a plumbing line attached to them out of the box. Some others use standard water tanks but they also have the option to attach a plumbed line with a just little bit of effort on your part. Basically you have options to adapt an existing coffee maker or buy a new model that doesn’t require you to to manually fill them up with water. 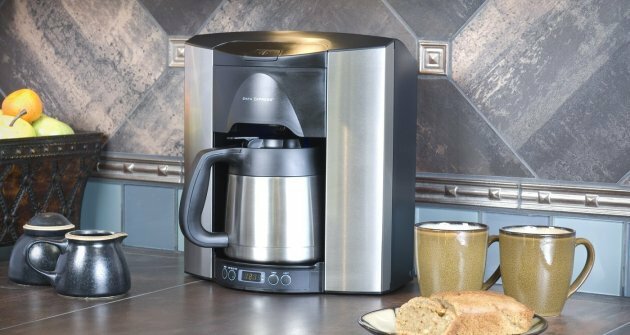 There are not too many models out there that offer you this feature so the list of coffee machines to choose from is a little low but we’ve done the research for you already so you don’t have to find them on your own. 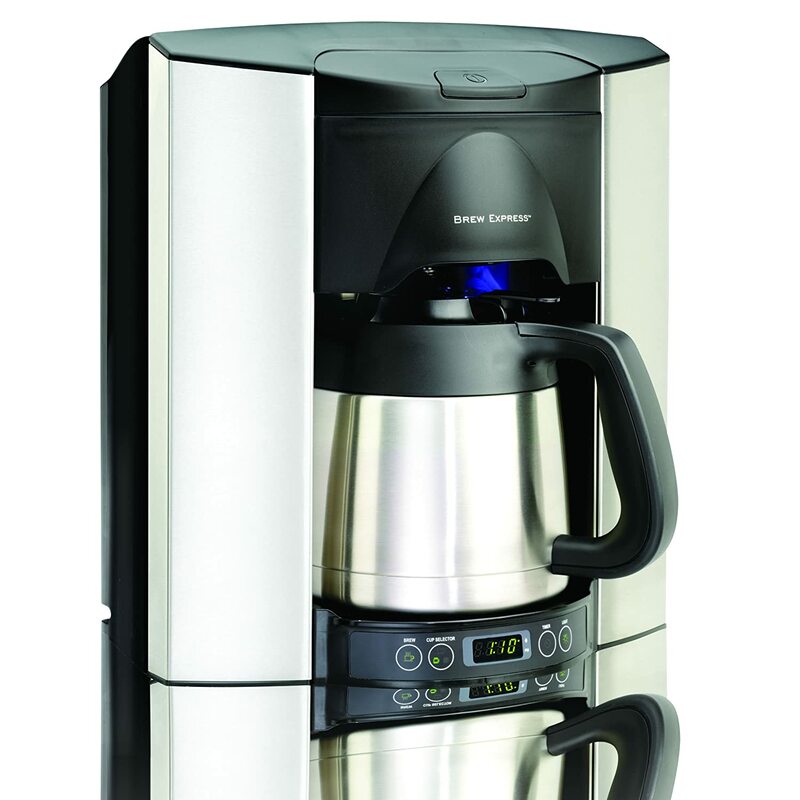 Before we get into the comparison and full list of options in this space I want to first let you know that BY FAR, the best plumbed coffee maker on the market is this machine made by Brew Express. It’s the BEC-110 countertop model and although it’s not the best coffee maker you can buy it’s the best at getting a water line direct to your coffee maker in your kitchen… and it makes pretty good coffee too. With Brew Express everything works seamlessly. You don’t even have to buy a plumbing conversion kit like you do with Keurig. 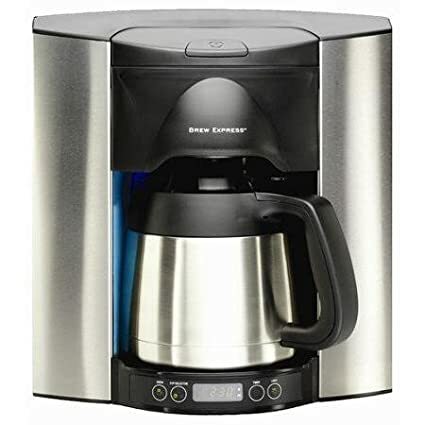 Best Coffee Makers With A Water Line – Models That You Will Love! As we just said, it’s not too easy to find a model with a water line. In fact, these are so rare that you won’t even find much information about them. So, because of dearth of information and availability, this option might be one of the hardest to find. The water line makes this model self filling, meaning that you’re now free from the hassle of having to manually fill up the model, making the whole thing even more automated than you could have imagined before. This model provides you with a continuous brewing feature, which means that you won’t have to wait at all for the coffee to get warm, you can get your warm cup whenever you want. This model also comes with a wide range of selections for how much coffee you want to be dispensed. You can select anything between half a cup and a whole carafe! This model has a capacity of 10 cups of coffee. This model, finally, has been designed to last for years and people who have used it all agree that it’s one of the best models that they have used in terms of quality. 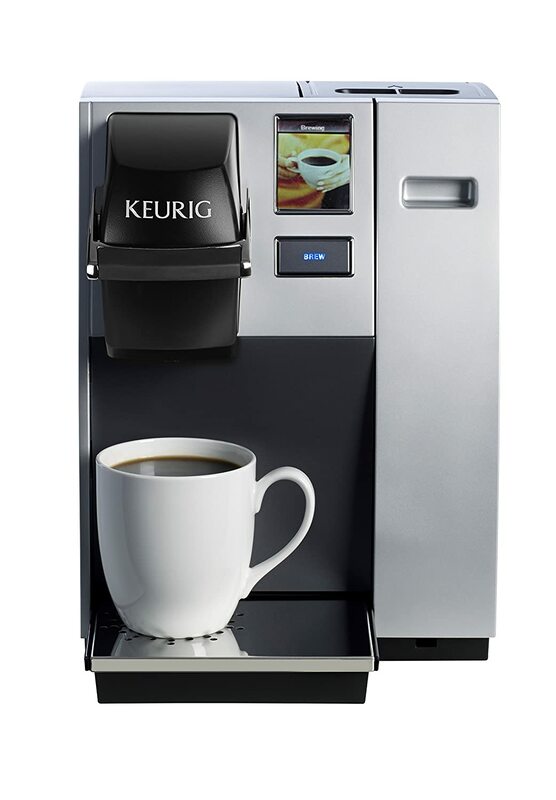 This machine boasts of a beautiful color touch-screen with adjustable brew temperature, programmable On/Off settings, and you can walk through brewing instructions in three different languages. There are a whole lot of brew sizes and brew options in order for you to get the exact kind of coffee that you’re looking for and the exact amount of coffee that you’re in need of. To be more precise, you have five brew size options – 4 oz., 6 oz., 8 oz., 10 oz., or 12 oz. You can choose it for every serving to get exactly the amount of coffee you want. The drip tray is designed for easy cleanup and versatility. It slides out of the way to accommodate travel mugs. Oh, and did I mention that you can put it in a dishwasher too? You can easily save some space with this machine, since it goes on your wall. It won’t occupy any space on your table or counter-top making it a great model if you need some space-economy. Naturally, this model comes with a water line, too, so you just need to provide it with a direct water connection and you’re free from the hassle of having to fill it up yourself. It also comes with a blue LED night-light that makes it both easy to use at night and really beautiful to look at- points for aesthetics! Of course, that’s not all that there is to purchasing. These are the main things that we discussed from a general perspective, but your specific needs open you to a lot more things to consider before purchasing! One of the most important things to keep in mind in case of this article, is the fact that the models must have a water line or provisions to add one. Yet another thing that you should consider is the aesthetic aspect. There are a lot of models available out there, but you must find out which one would look good in your kitchen. Yes, for some people, it doesn’t matter, but for others, it’s everything! Since a water line attachment makes this a more permanent fixture than usual, we recommend you seriously take it into account. The functionality of the models is yet another point that you can never ignore. Some models provide you with really nice features, such as the ability to plan ahead of time or program your own way of brewing (your own temperature and timer). Several people look for some of these features in their models and it’s important to take them into consideration. You also want to make sure that you stay within your budget. While there are a lot of models, there are a lot of price ranges, as well. You must be well aware about your budget, and only buy the model that fits it perfectly. The most important thing to keep in mind while comparing models is what your specific needs are. These are the main things that must guide you during any such consideration. You don’t want to go for something that looks great, but doesn’t serve your needs. You also don’t want to go for something that’s cheaper, but is completely useless to you. You need to know what you’re looking for and buy a model that does that. Keep this in mind and I’m sure that it will be super simple for you to easily find the model that serves you best. Don’t forget that the best model for you isn’t always the best one available on the market, but that one that serves all your needs. This is why you must judge it accordingly in order to find the best one for yourself. By this point, a lot of questions might be building up in your mind. Don’t worry, I’ll answer the most common ones right now and request you to reach out to me if you have anything more that you would like to discuss. Please know that we are here for you and we would love to hear from you. So do not hesitate to reach out to us if you have anything that you would like to ask or discuss with us. What are some of the things to keep in mind about water line models? One of the main things that you must keep in mind is the fact that very few models come with an inbuilt water line. With some other models, you can add it yourself with a plumbing kit and a bit of dry work. However, there are specific plumbing kits for specific kinds of models and you must do your fair share of research. What is so special about models with a water line? Another question that’s really common is whether there’s some company that’s especially better. While there are bestselling companies, there’s no way to say that any one is the best, by far. Plus, just because the company is popular doesn’t mean it makes something you want. 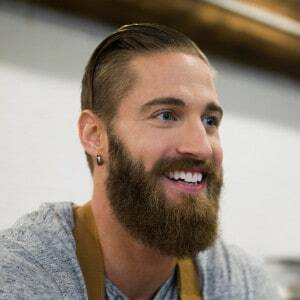 So, you still have to judge what would be the best product for yourself. Moderately important, since they can get pricey. Not all models are equally priced and not of all of us are on an equal budget. While some of us might be fine going with just about any model, some of us might be on a conservative budget. So, it’s important to buy the model that’s the best suited to it. At the end of the day, you’re the customer and all these models are available for you, but that makes it even more important for you to do your research before settling on one. Keep in mind that Gamble Bay Coffee is always here to help you out. If you have any questions, we are here and always up for discussion. So, please feel free to reach out to us and we promise that we will try our best to help you with all the information that we have at our disposal.